UPDATE: The boil water advisory was lifted Saturday morning. 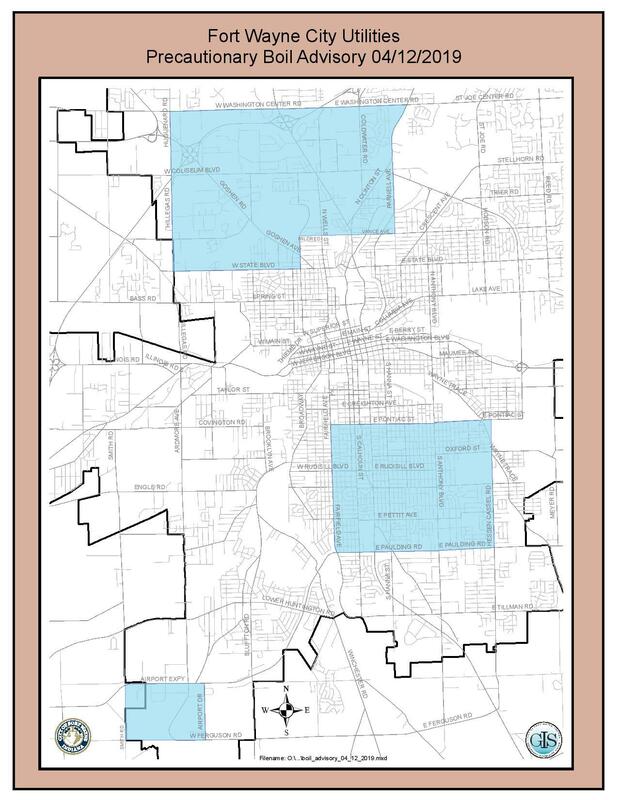 The City of Fort Wayne issued a "boil water advisory" Friday for large portions of the city due to a drop in water pressure at the Three Rivers Water Filtration Plant caused by a downed power pole due to a traffic crash. As a precaution, city utility officials ask residents and business in the three areas to boil any water they intend to drink or use for cooking until further notice. The water can be safely used for bathing, cleaning, or laundry without boiling.